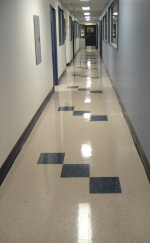 We are a janitorial services company providing service across the Greater Toronto Area and Hamilton. We specialize in cleaning offices of any size. First Maintenance Solutions Ltd. has the expert teams and advanced equipment required for large buildings. The quality of our services exceeds the specific needs of world-class companies in prestigious office buildings. In an era of high technology, the most promising companies are often small in size. Our employees are trained intensively with the support of the latest audiovisual techniques. Our experienced supervisors foster efficient teamwork to produce the results you expect. First Maintenance Solutions Ltd services uses only the best cleaning products as well as modern and effective equipment. At First Maintenance Solutions Ltd, we provide the same attention to detail and the same quality of service whether you have 3 offices or 300. We know how to satisfy your requirements. References are available on request. Comprehensive maintenance services guaranteed day after day. Comprehensive cleanup after construction, whether a new partition or a new building. In the maintenance services, the quality of employees is crucial, at First Maintenance Solutions Ltd; our employees take the quality of their work to heart. We provide you with a complete range of services, guaranteeing the first-rate image that you and your clients expect.